Removals London whatever size your move, we’ll handle it safely and efficiently – keeping you informed every step of the way. Pick&Move – the removal company London that cares. Removals in busy city such as London has its own problems managing stress of moving is what we do best. If you prefer to pack everything yourself, we can supply boxes and packaging either way the choice is yours. Our number one priority is the safe, efficient providing you with Removals London services. Secure arrival of your belongings and minimise any disruptions. WHY CHOOSE PICK&MOVE REMOVALS LONDON FOR YOUR MOVE. Pick&Move offers an extensive list of moving services to both domestic and business clients. Choose from our full house moving options, man and van solutions, international relocation assistance, storage services, and even box delivery or packing. We also have a flexible working schedule we can accommodate same-day removals service option. Safety is at the centre of our business always put our client’s needs first on our priority. our team are rained in handling and ensuring every precaution is taken to ensure goods are well looked after. In order to ensure a smoother moving process, we can do a video survey for your convenience or if prefer we can send one of our surveyor to assess your requirements so we can provide more tailored quotation. Our London removal prices is very competitive and varies between providers of moving service in London, Pick&Move offer cost effective removal rate to suit different budget big or small. From fix quote to hourly rate or personalised service . With over 15 years of moving and storage in London manpower, resources and skills needed for successful Removals London services. YOUR GUIDE TO LONDON REMOVALS. Alternatively, if you prefer not to have a visit, you can complete online quote which will be based on your information provided.. Is important to give as much information as possible so that we can provide you with an accurate quote.The choice is yours. The personalised quotation includes the cost of actual move and will indicate whether direct to your new destination or into storage, it will contain the cost of any storage as well as packing. Ready to move check out our Moving Checklist for more help about moving. Step 2: Getting Things Packed Efficiently. As a professional Removal company in London we recommend our full wrapping and packing service to protect your belongings, we know this option is not for everyone so we also offer “self pack” packing materials for to use in your own time. Our expert London Removals, headed by a crew leader, arrives at your home with a move plan, we take great pride in out work and packing is done with care and attention and transfer to our vehicle. Fully equip with the right moving equipment’s. Step 3: Ready For Your Move. Making removals London stress free we advise you all the way. Once everything is packed and loaded we ensure nothing is left or taken in error, is time to move on to your new destination we ensure that everything you have requested is done. Step 4: Unloading at your premises its easy. Once our crew arrived at your property and shown were you would like your item placed to unpack at your own time or if you we quoted for assembling of furniture and unpacking then there is little to add. Getting things Unpacked by your London removal crew. All packaging removed will be taken along used boxes are compressed for recycling purposes. All items carefully place in there designated areas, our aim is to ensure you are satisfy and everything goes as planned. WHEN DEALING WITH PICK&MOVE – REMOVAL COMPANY LONDON, YOU CAN EXPECT COMPREHENSIVE SERVICES AND EFFICIENCY. Business Storage: We collect your excess inventory or unused furniture for storage, we deliver when you need an item back is that simple. Document/ Achieve Storage. : Storage per box ultimate cost effective achieve storage. Boxes & Packaging : Boxes and an extensive selection of packing materials delivery to your door. BOOK YOUR REMOVALS SERVICE IN LONDON TODAY TO START YOUR MOVES! All you have to do is fill in our moving quote form quote will be emailed within 24 hours. or use our live chat support (bottom right), where a friendly operator will be more than happy to assist you. If that’s not convenient for you, you can always call 0800 781 9629. The customer support will answer all your questions regarding our removals services available in London, and schedule an appointment. It takes just a couple of minutes or so! LOCAL REMOVALS AND INTERNATIONAL MOVES BY PICK&MOVE REMOVAL COMPANY. We cater for both local removals in London or international moves. Although relocating overseas can be a daunting task, with the right type of help the whole process can be a positive and exciting experience. We sit down with you to understand your specific needs, planning ahead is a key to successful relocation. We offer practical advice, guidance and support of a dedicated move consultant with a wealth of local knowledge and experience in dealing with international moves. Request for a pre-move survey or get a quote online. PICK&MOVE– LONDON’S COMMERCIAL REMOVALS AND STORAGE PROVIDER. Secure Storage solutions cheaper than self storage from only 99p per day. 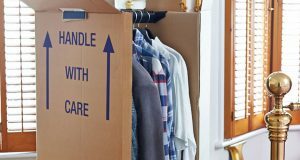 We’ve got London covered not just removals, our Mobile storage is the only alternative storage in London GUARANTEED to save you money and time. Cheaper than self storage by far. When you need a self storage solution we know it can be stressful arranging to get all your items to a traditional self storage facility, hiring a van, loading and unloading, paying for fuel, insurance and expensive security deposits. Mobile Storage is convenient, flexible doorstep collection from your home or office..Our secure Storage facilities which is fitted with CCTV and has 24 hour security, clean and dry with no fear of moisture or humidity. Call our friendly team on 0800 781 9629 and get an instant quote today, or alternatively fill in the online form to receive your FREE no obligation quote. London is the political, economic and cultural capital of Britain, and its world class tourist attractions are renowned across the globe. The Greater London area is bursting with attractions for visitors of all ages. With 30 historic gardens and 123 historic buildings, London also has more than 200 museums, 600 cinema screens, and 108 music halls. London’s 33 boroughs, including the City of London, are spread over an area of 1572 square kilometres. About one third of London is devoted to parks and open spaces, so there are plenty of places to relax on fine days. London is the centre of the world – and a world in one city, with a wealth of different cultures and communities across the capital. It has more than 300 languages and cuisine from over 70 countries. While English is the official language, several European languages are very widely spoken in and around London. Given the size of the large multicultural population, many other languages are also used in everyday life. London’s fantastic transport system, with its Tube, red buses and black taxis, will enable you to get around the city quickly and easily. There are more than 6,000 restaurants in London so you’ll never be short of new places to eat. London boasts 55 Michelin Star restaurants and many celebrity chefs are based here, and there are plenty of good, cheaper options too. According to the Globe Shopper City Index, London is Europe’s best shopping destination. Whether you head to the West End, Westfield London or a quirky London market, there’s a huge range of places to buy gifts, fashion and food. The United Kingdom has an extremely variable temperate maritime climate and is subject to rainfall and frequent weather changes. Temperatures range from 0 degrees (Celsius) in Winter to a high of 32 degrees in Summer. July is normally the warmest month in England.